Android Reborn – 2 Solutions to Fix Emoji Not Showing on LG G6. Did you just own LG G6 Smartphone on your hand and have it rather annoying because of its emoji problem? Well, you are not the first one to encounter this problem. So, there is no need for you to worry since there have been some solutions you can try to fix emoji not showing on LG G6. If you want to put an end to this issue on your phone, give these solutions we have for you a try here. The most common cause of emoji that does not show up on this Smartphone is because there is no good compatibility between the software and the intended emoji or between the software and the Smartphone to begin with. To deal with this cause, you will need to simply try different software and find the one that is compatible. Once installed, go to the menu of your texting app and insert smiley. Other cause of emoji not showing on LG G6 might just be because of outdated software. 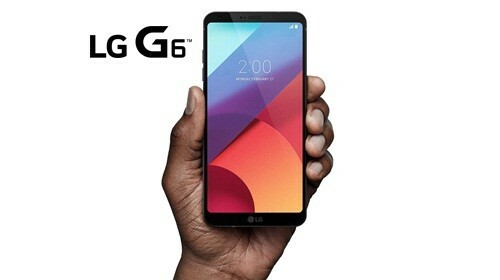 If your fellow LG G6 users have it while you are not, this could just be the reason behind the problem. To deal with it, there is nothing you can do except for updating it. Here are the steps to follow then. As long as you follow these steps, you should be able to solve your emoji problem. You will also get to use the trendy emoji that everyone is using as well. Give either of those solutions a try yourself.